With a few leaks and very little fanfare, Apex Legends is out and available to play. It's Respawn Entertainment's shot at the battle royale market, a free-to-play entry shooter for PC, PlayStation 4, and Xbox One based heavily in the Titanfall universe. With Apex's release, Respawn Entertainment also confirmed that there's no Titanfall 3 in development. "Our desire is to be completely open and transparent with our player base, and part of that expands to how we talk about problems, and we understand this game is gonna have a skeptical audience," Apex Legends lead producer Drew McCoy said in an interview with Eurogamer. "There are some people who think there are too many battle royale games or it's a fad, the world thinks we're making Titanfall 3 and we're not—this is what we're making. "To try and convince a sceptical audience for months with trailers and hands-on articles, we're just like 'let the game speak for itself'—it's the most powerful antidote to potential problems. We're doing a free to play game, with essentially loot boxes, after we were bought by EA, and it's not Titanfall 3. It's the perfect recipe for a marketing plan to go awry, so why have that—let's just ship the game and let players play." It's open and honest commentary from Respawn Entertainment. There will certainly be speculation whether they were strong armed into this game by Electronic Arts, but McCoy's candidness should put that idea to rest. It was an experiment within the team that became a full standalone product. A report by Kotaku on Saturday stated that Titanfall 3 was well into development with the studio trying to get it out by the end of 2018, as the underlying Source Engine was starting to look dated. That obviously didn't happen, with Apex Legends being the final result. A proper Titanfall sequel may or may not come, and in the meantime the studio is still working on Star Wars: Jedi Fallen Order. What's interesting is Respawn and Electronic Arts' marketing team correctly realizing the perception surrounding the publisher. In the eyes of some consumers, EA has long whittled away any inherent trust. Whether that's through studio closures, like the shuttering of Visceral Games, or perceived studio mismanagement, like the direction of Bioware. There's the persistent push towards heavy monetization and microtransactions, with reports that Visceral's single-player Star Wars game was rejiggered to become more of a service product. 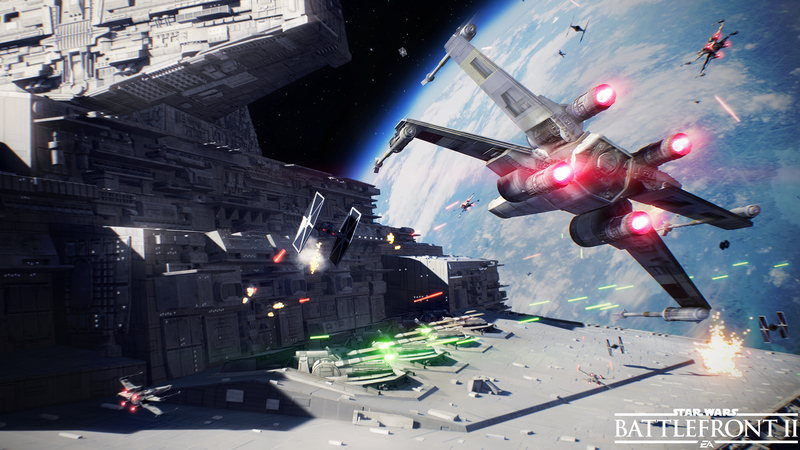 Star Wars: Battlefront 2 came under fire entirely due to microtransactions that touched gameplay. With Star Wars in particular, recently there's been commentary that EA has mishandled the exclusive license, putting out only two games in six years. That perception is a problem. Some may disagree whether that problem stems directly from EA's decision or the community of consumers that hates everything the publisher does regardless, but it's still a problem. Trust is its own currency, especially when you're trying to sell something. A trusted company can get away with missteps that would ravage another company; same situation, different outcome, based largely on past conduct. If you want that Company A has previously delivered on promised features and additions, then you're more likely to believe those promises in the future. If you know that Company B has previously left game-breaking bugs in released games, you're probably not going to believe that they'll fix the bugs on their next game. Every major publisher or studio has its own fingerprint after years of making and releasing games. Nintendo is trusted to make really fun experiences, but not so much to keep up with the times in terms of technology and service. Ubisoft might stick with the Ubisoft™ open-world and not have the best launches, but the publisher has a proven record of sticking with its games and improving them. 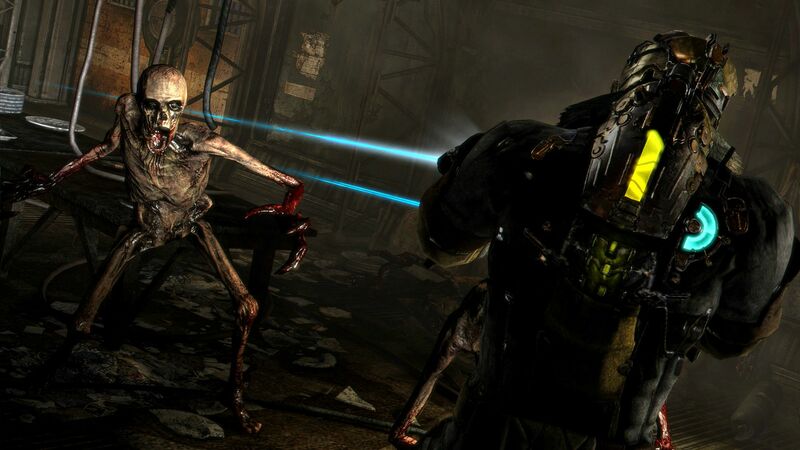 Bethesda has a history of intriguing but very buggy games, something that might've caught up with them in Fallout 76. Electronic Arts has a reputation for closing good studios and excessive monetization. Again, you can ask whether that perception is earned or pushed upon the publisher, but it's known enough that Respawn Entertainment and Electronic Arts correctly assumed that it would probably represent a problem for marketing. It's enough of an issue that it was decided it would be better to release the game with no fanfare and hope to build the community through curiosity and word-of-mouth. EA's perception had a tangible effect upon the release. Now Electronic Arts can change the perception, but it requires a different way of operating. One way would be to cut back on the monetization of certain titles. FIFA and Madden Ultimate Team might make all of the money in the world, but the truth is not every property is built to work like that. The publisher could also stand to release a few 'prestige' games, which are usually single-player, narrative-heavy titles. God of War, Spider-Man, and Red Dead Redemption 2 from last year are good examples of that prestige mindset. And you can have additional downloadable content or online modes, but that's not the focus of the game. EA is sitting on studios and intellectual property that could fulfill this prestige category: Dragon Age, Mass Effect, Star Wars: Knights of the Old Republic, Dead Space, and Mirror's Edge. Even simple re-releases and remasters of some of these games can be good money for the company, as indicated by the great sales of Crash Bandicoot N. Sane Trilogy, Donkey Kong Country: Tropical Freeze, Skyrim Special Edition, or the many Final Fantasy titles. EA doesn't see the need to support these types of games though, because there's not enough money in it. This isn't speculation, it's the company's own statements. "Our Visceral studio has been developing an action-adventure title set in the Star Wars universe. 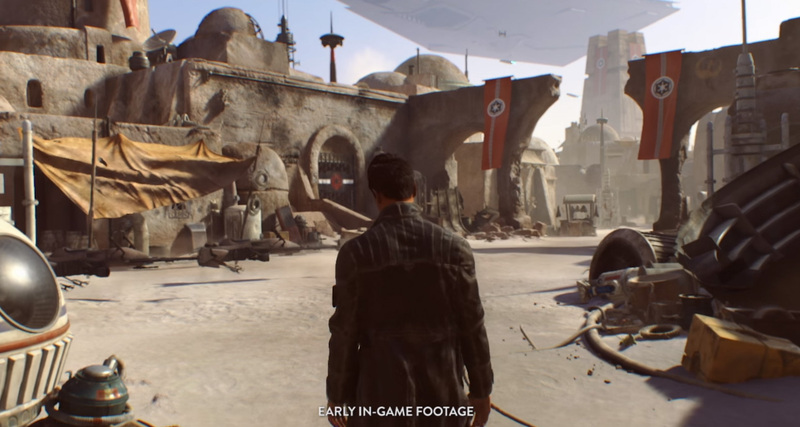 In its current form, it was shaping up to be a story-based, linear adventure game," said EA CEO Patrick Söderlund back in 2017 about the shutdown of Visceral Games and refocusing of its planned Star Wars title. "Throughout the development process, we have been testing the game concepts with players, listening to the feedback about what and how they want to play, and closely tracking fundamental shifts in the marketplace. It has become clear that to deliver an experience that players will want to come back to and enjoy for a long time to come, we needed to pivot the design." "We were trying to build a game that really pushed gameplay to the next level, and as we kept reviewing the game, it continued to look like a style of gaming, a much more linear game, that people don't like as much today as they did five years ago or 10 years ago. We try to do it as early as possible in game design, and we probably let this go a little further. But I'm a believer in sunk costs. You've got to cut the bridge when you realize you can't really make a lot of money on something, so that's the decision we made," said EA chief financial officer Blake Jorgensen a few months later. The Star Wars game was canned entirely this year. Yes, the costs and outcomes are different for a publisher like Electronic Arts versus a platform holder like Sony, Microsoft, or Nintendo. They can spend on those games because the true aim is to get you to buy the console and its services. But for other major publishers, it builds trust and improves the perception of your company if it looks like you're doing things for reasons other than profit. Ubisoft jumps between single-player and online service games, but holds onto the same idea of continuous commitment for both types of games. Rainbow Six Siege went from a failed launch to a top-tier online game, For Honor is experiencing a renaissance, Ghost Recon Wildlands is still getting updates as of December 2018, and that title is nearing almost years out from launch. Steep seems to have been one of its lower-tier games, but even that's starting its Season 4 content in February. Yes, the company has monetization, but Ubisoft has built its trust in terms of support. At some point, Electronic Arts, you have to find the line between wringing every dollar out of every game, and being able to make a few more major games that don't feel like they bear the heavy cross of monetization. You can add a multiplayer mode to Dragon Age 4—I've heard Inquisition's multiplayer wasn't that bad—but it'll probably look better if you don't. Star Wars: Knights of the Old Republic probably deserves a remaster or remake of some sort, rather than legal threats against fans trying to make that happen. Dead Space is never going to be the money maker you want, but a new, good one could see the same sales figures as Resident Evil 2, with 3 million copies shipped in 4 days. Make moves to build trust, EA. Because trust is a currency. It's not a physical one you can put in your coffers, but you'd be surprised with what you can sell when your community trusts you. Apex Legends might be a fantastic game, but it's probably not the first step in changing your perception overall. Here are the major releases for the week of February 4 to February 8. Want to see the complete list? Check out our full list of video game release dates for 2019. Etrian Odyssey: Nexus [Feb 5, 3DS]: Atlus' steadfast dungeon crawler returns with a sequel to 2016's Etrian Odyssey V. Yes, it's on 3DS, which is long in the tooth at this point, but it's the last one planned for the system, so at least Nintendo's portable is going out with a bang. Kill monsters, make maps, and avoid those F.O.E.s! 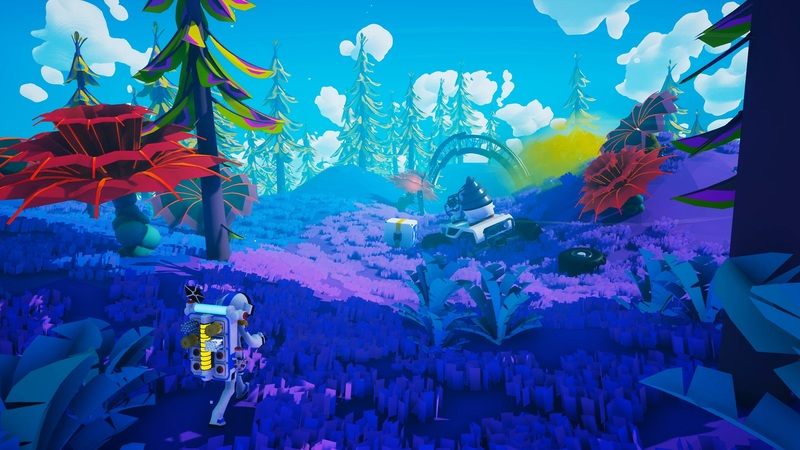 Astroneer [February 6, PC]: System Era Softworks' low-key cooperative survival game has been in Early Access since 2016 and it's finally ready to be unleashed upon the world. Touch down on alien worlds, mine them for resources, and discover the secrets of the solar system. Astroneer has come a long way and we're looking forward to diving in on the 1.0 release. Total War: Three Kingdoms [February 7, PC]: The Total War series jumps to China, covering the nearly mythic Three Kingdoms period. Players can choose between the Romance mode, giving the generals powers beyond those of mortal man, reflecting their stories, or Classic, a more grounded mode based on the Records of the Three Kingdoms. God Eater 3 [February 8, PS4, PC]: Monster Hunter: World was a grand success for Capcom last year, but one of the many games that sprung up around the best-selling series is getting its own sequel. God Eater differentiates itself with faster, more immediate combat against fictional beasts and a heavy dose of anime-style storytelling and characterization. If you're tired of waiting for MHW's Iceborne expansion, maybe this will fix you up? The Division 2 Private Beta [February 8, PC, PS4, Xbox One]: This is a new release per se, but after a number of previews, The Division 2 will open its first beta period on Friday, allowing players to see firsthand was post-apocalyptic Washington D.C. looks like. Will you answer the call? There are two MMO looter shooters coming on the horizon: The Division 2 and Anthem. Oddly enough, the studios behind both games talked to USG about their plans for endgame, an important part of any MMO. The Division 2 introduces a new in-game faction to provide greater challenge, while Anthem outlines two of the smaller raids that are planned around launch. With only a few weeks apart, which one will draw in the interest of the community? Square Enix has announced that Final Fantasy 14: Shadowbringers, the next expansion to the company's wildly-popular MMORPG, will be coming July 2. This expansion adds the Gunbreaker job, inspired by Final Fantasy 8's Squall Leonhart, and a new Alliance Raid based on Nier: Automata, with input from executive producer Yosuke Saito and director Yoko Taro. Steam has kicked off its Lunar New Year sale, celebrating the Chinese New Year with steep game discounts! If you're looking to save some money on video games, padding out your backlog with more games you won't play, now's the time. The remake of Resident Evil 2 is a full-on hit, shipping 3 million copies in a few days and achieving critical acclaim. I argue that a remake of Resident Evil 3: Nemesis done with the same love and care could be an even better game. Axe of the Blood God: With the final closure of the Wii Shop, Nadia and Kat talk about all the fantastic RPGs that have disappeared entirely. The Wii Virtual Console alone accounts for the loss of Super Mario RPG, Breath of Fire 2, and Ogre Battle: March of the Black Queen. It's a sad end, but a good discussion! Subscribe here for the full podcast! Tagged with Battle Royale,	Electronic Arts,	Free-to-Play,	Opinions,	PC,	PlayStation 4,	Respawn Entertainment,	Shooters,	Starting Screen,	Xbox One.